How often do you think about water seeping into your home and damaging your furniture, flooring and personal items? Most people don’t get concerned about plumbing leaks or natural disasters and floods until it happens to them. Unfortunately, water damage is all too common among homeowners. It is more likely to occur in your home than fire damage or a burglary. We understand that you can’t predict a natural disaster like a flood, but the afore mentioned are appliances and fixtures that you can be aware of and maintain with the following tips to help you with preventable causes of water damage. If you have an issue with a burst pipe in your home, the first thing you will need to do is shut off the main water supply. This should stop the flow of water in most situations. Make a point of examining the hoses for your washing machine, dishwasher and refrigerator once a year. Mark a date on your calendar to perform this function so you don’t forget. Look for cracks and water leaks. All hoses should be replaced every five-seven years. This step won’t protect you from a catastrophic leak, but it will protect your floors and the underlying parts of your home from damage from slow leaks, which can remain undetected for some time. Make sure that it is watertight. If you find any leaks or it appears to be crumbly, replace it immediately so that the seal is restored as soon as possible. You don’t want even a small amount of water to penetrate in between the tub, shower or tiles. Properly sealed fixtures can prevent water from seeping behind your walls or into your flooring. This type of water alarm works in the same manner as smoke alarms. When water is found in a specific area, the alarm is triggered to warn you of a threat. The sensors can be installed in your basement, bathroom, laundry room, kitchen or next to your sump pump. This warning can work wonders to prevent mold damage or other problems from slow, undiscovered water leaks. XSI Disaster Services is your local expert for water damage restoration Atlanta. If your home has been damaged by any type of water damage, call us today. Our repair services are available 24/7 and we can also restore your damaged paper documents! 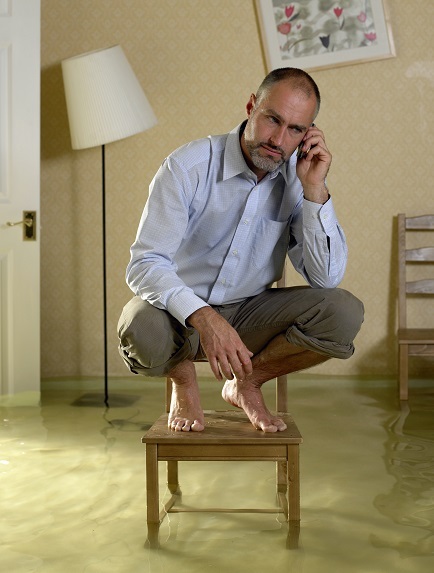 Call The Water Damage Repair Experts Today At (770) 787-9096! Is Your Home At Risk For Asbestos?